Lytham & St.Annes on the Sea Lancashire - Local History - Harvesting at St.Annes, 1914. 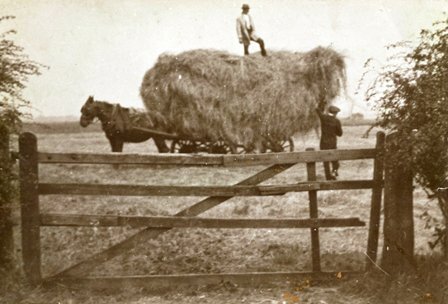 YOU ARE HERE > HOME PAGE > LYTHAM ST ANNES > FARMS & COTTAGES > Harvesting at St.Annes, 1914. Harvesting at St.Annes in 1914.